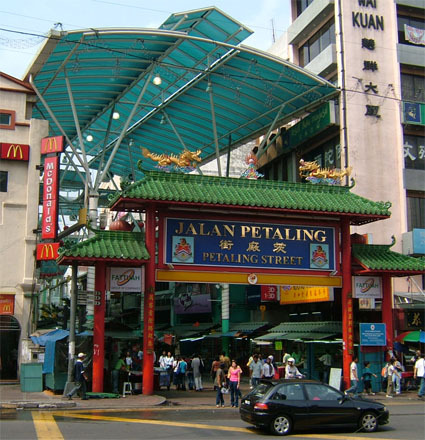 With its distinct 2 store shophouses and colorful temples, fantastic restaurants and bustling night market there is no mistaking that this is Chinatown. Retaining the charm and character of years past, hotels in Chinatown are for the most part smaller, one-off independently owned properties. Clean and well managed these hotels offer good value for money for budget conscious traveler. Whilst it may seems a bit odd at first glance for an Asian city to have a Chinatown, bear in mind that people of Chinese descent are a minority with just under a third of the country's population. Centred around the Pasar Seni light rail station the area is bordered by Jln. Sultan Mohamed on the west, up to Jln. Cheng Lock on the north and following Jln. Pudu around to the east. 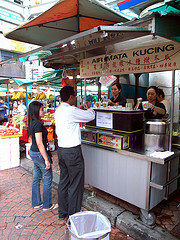 The area is just west of the Bukit Bintang area - within walking distance for those so inclined. Easy to get to, endlessly fascinating and very easy to explore, every visitor to Kuala Lumpur should make it a point to see Chinatown. Shoppers will lose themselves (and maybe their mates as well?) going through the endless row of tables that serve as shop fronts on Jln. Petaling's night market. And for true Chinese cuisine this is the place to sit down and dig in. The hotels in Chinatown are, for the most part, smaller family owned and managed hotels offering clean rooms and personalized service for a memorable holiday.